Lyra Love Star is a jewelry collection designed by Celebrity Stylist Crystal Streets; inspired by her love of all things celestial & reminiscent of a night’s sky. 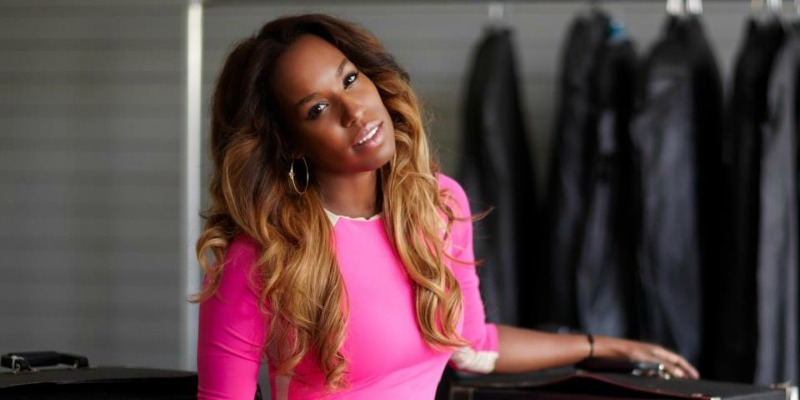 Crystal went on to build an impressive list of celebrity clients, including Will Smith, Jamie Foxx, Ciara, Rihanna, Mariah Carey, Jay-Z, Alicia Keys and Joss Stone. Crystal Streets, Celebrity Stylist and Jewelry designer. Was it always a childhood’s dream to create your own jewellery brand? Since I can remember I’ve always been attracted to Fashion & Accessories. I’ve been collecting Jewelry for quite some time before I decided to start my own collection. My mother had a huge influence on my own personal style and ability to express myself creatively. In addition, as a celebrity stylist, I’ve had the opportunity to design clothing for my clients and also to work with some amazing designers. Jewelry design is an extension of that and it came very natural for me. What is your favorite jewellery piece that you created this year? My favorite piece of Jewelry that I created this year is my “Jett Pave Spiked Starbust” necklace. 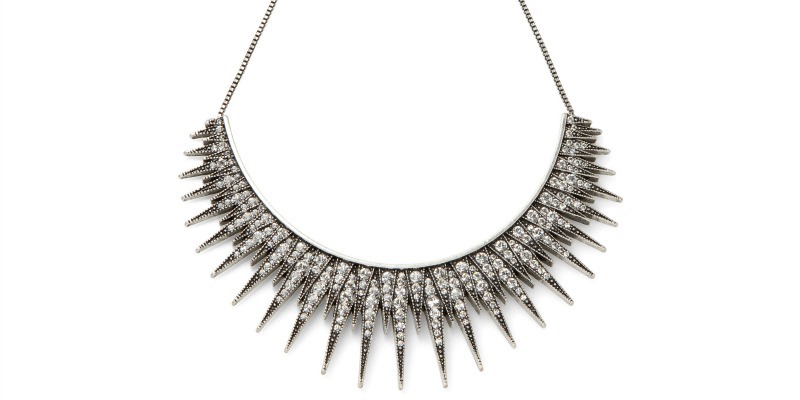 It’s edgy and glamorous: such a dreamy statement necklace. Throw this statement necklace on with your favorite tee or LBD and create the perfect mix of rocker-chic. Where do you get your inspiration from to create such beautiful jewellery? LyraLoveStar (= LLS) by Crystal Streets is inspired by my love of all things Celestial. The namesake collection is named after my daughter Lyra which is an ancient Greek Star Constellation. My goal is to create a brand of many products that someday my daughter will take over. At age 4, she is already a budding fashionista and loves accessories! 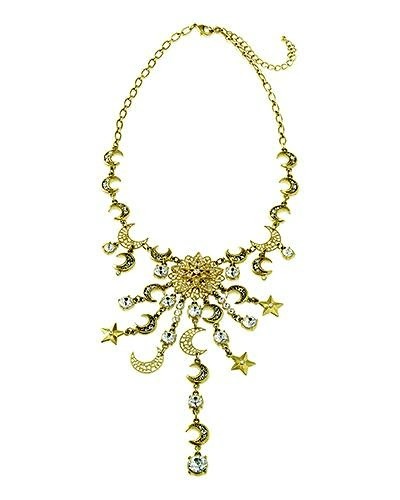 Estelle Bib Necklace: This dreamy bib necklace is filled with moons, stars and sparkling Swarovski crystals. What do you think is the most important piece of jewellery a woman should have or wear? I think jewelry is such a personal statement; it has history and it tells a story. I have a necklace and a ring that I never take off. 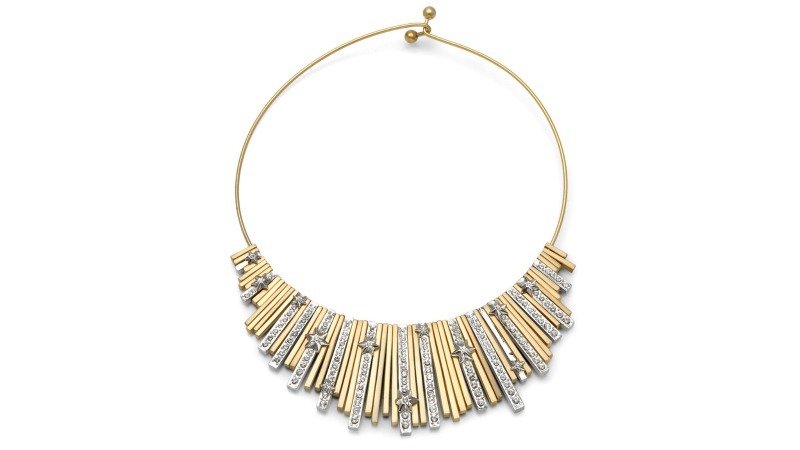 I think every woman should own a great statement necklace that can wear from day to night like our “Estelle” necklace. How do you define organic luxury with your brand? As a stylist, it is important that I design a collection that is inspirational and wearable without sacrificing luxury. LLS Aesthetic is derived from some of the purest and organic elements of the Earth – Moon – Star etc… When a customer buys LLS they are making a statement. ZAHRA Necklace: Individual bars slide seamlessly on a thin wire necklace with tiny starburst accents. Which cause does your company support and why? LLS Supports the Lupus Foundation and Dress for Success. My Godmother passed away after a long battle with Lupus. She was a very inspiring woman. Dress for Success is an organization that helps underprivileged women get back into the work place. What are your future projects that you would like to share with our readers? LLS will be an umbrella for several luxury products that we are currently working on, including fine jewelry, handbags, shoes, candles and more to come. Thank you, as always for being kind, giving and creative in the comments. We’re looking forward to seeing what you share!